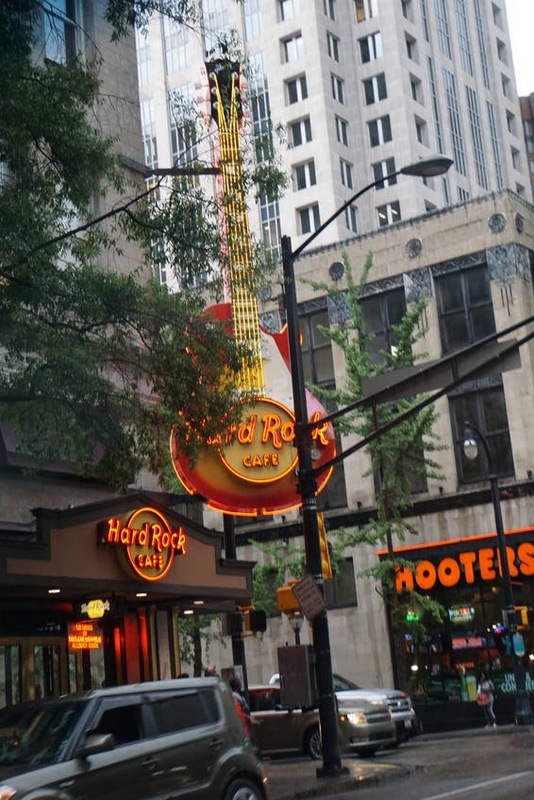 We continue on sightseeing in Atlanta. One of the things the tour guide told us is, Atlanta is not going to take down any Olympic items. Hence, the torch, centennial park, etc. will all remain forever. 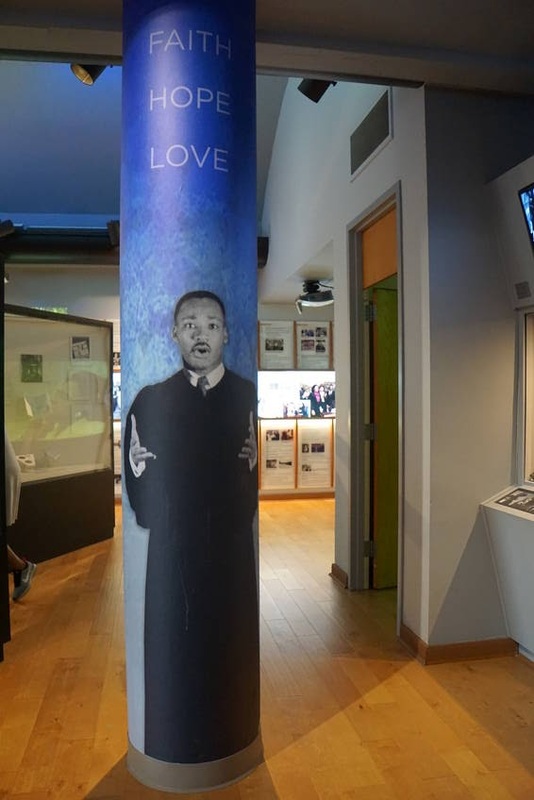 After the trolley tour, we decided to go back to spend time at the Martin Luther King, Jr. Center. As usual, Lo wants to take the city bus/train to get around. He loves seeing the city this way. He says, you get to see the real people and how they live this way. So….. We get on the city train and venture on. 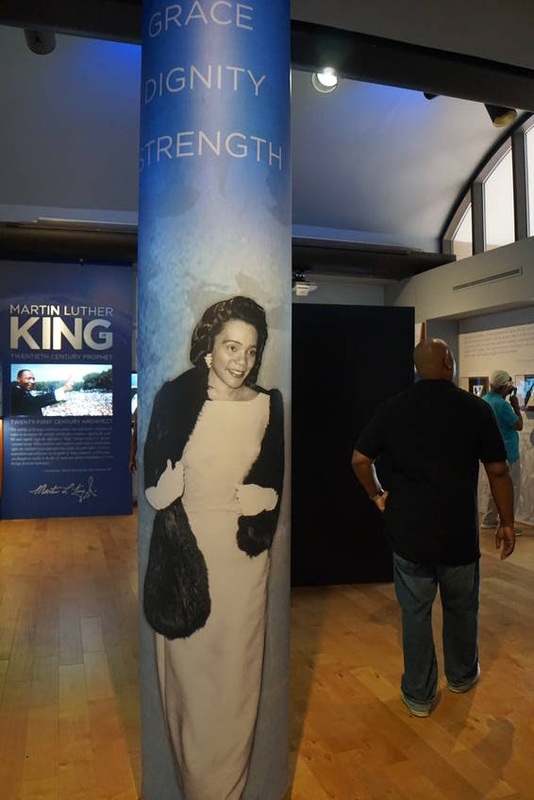 Did you know that as of January 31, 2018, the Martin Luther King, Jr. Center became a National Park? Yep, the current Prez signed it into law. Ø MJK was born January 15, 1929. Ø His name at birth was Michael King, Jr. after his father. 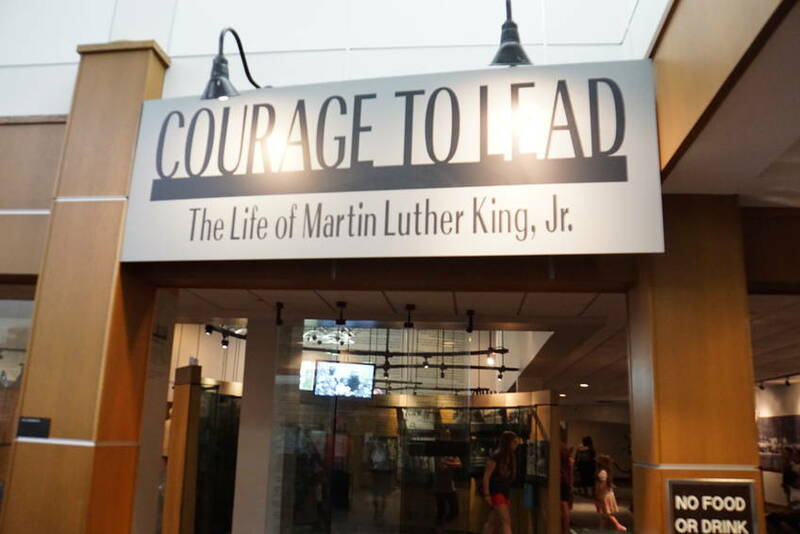 In 1934, his father, a pastor at Atlanta's Ebenezer Baptist Church, traveled to Germany and became inspired by the Protestant Reformation leader Martin Luther. He changed his name and his son’s. Ø Activism came from his grandfather and father. Ø Attends Morehouse College at 15 years old. 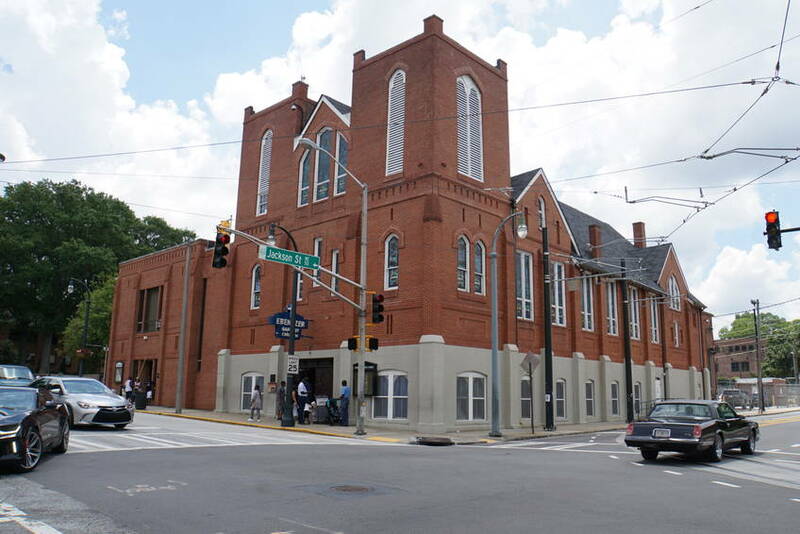 Ø Preached his first sermon at Ebenezer Baptist church in 1947. Ø Becomes a Rev MLK at 19 years old and Asst. Pastor with his dad. 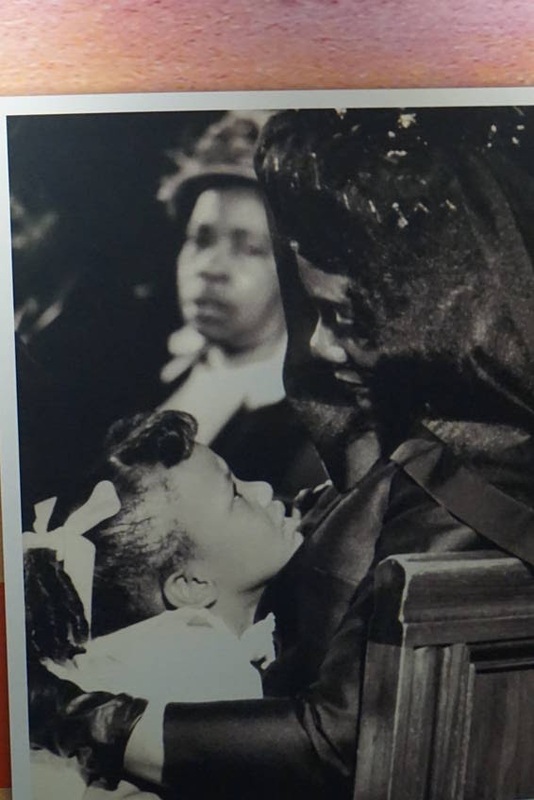 Ø Marries Coretta Scott in 1953. Ø Earns PhD in 1955. 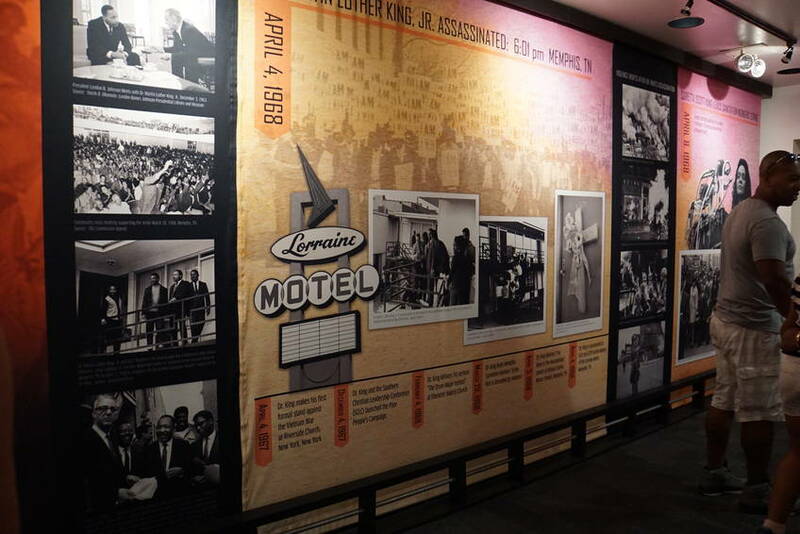 Ø Becomes founding president of Southern Christian Leadership Conference (SCLC) in 1957. Ø Named Time Magazine Man of the Year in 1964. Ø Participated in 8 peace marches. 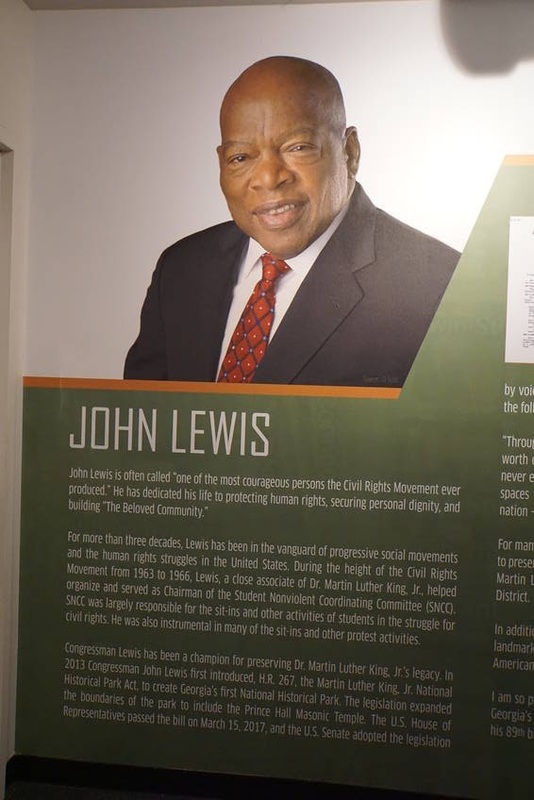 Montgomery Bus Boycott, The Albany Movement, Birmingham Campaign, March on Washington, March to Selma, Chicago, Vietnam War Opposition and Poor People’s Campaign. Ø MLK was jailed 29 times. 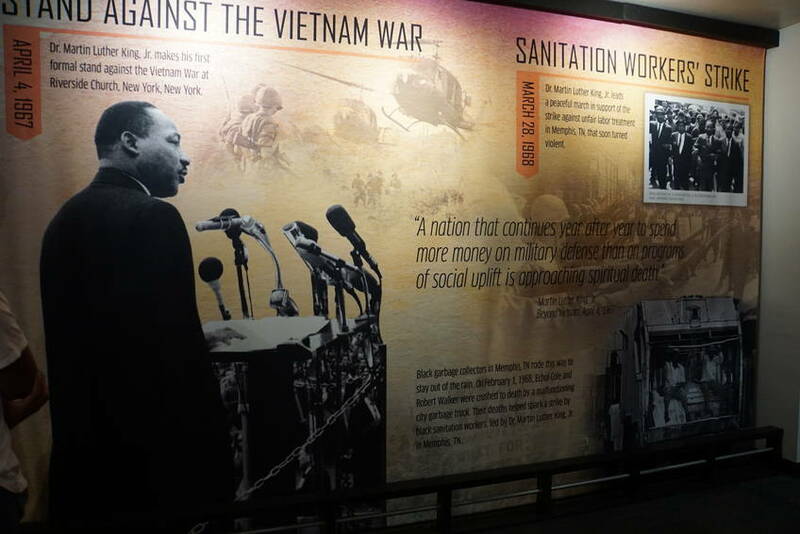 Ø The “I Have A Dream” speech was not the first time MLK spoke at the Lincoln Memorial. May 17, 1957 he gave a speech for the Prayer Pilgrimage for Freedom. 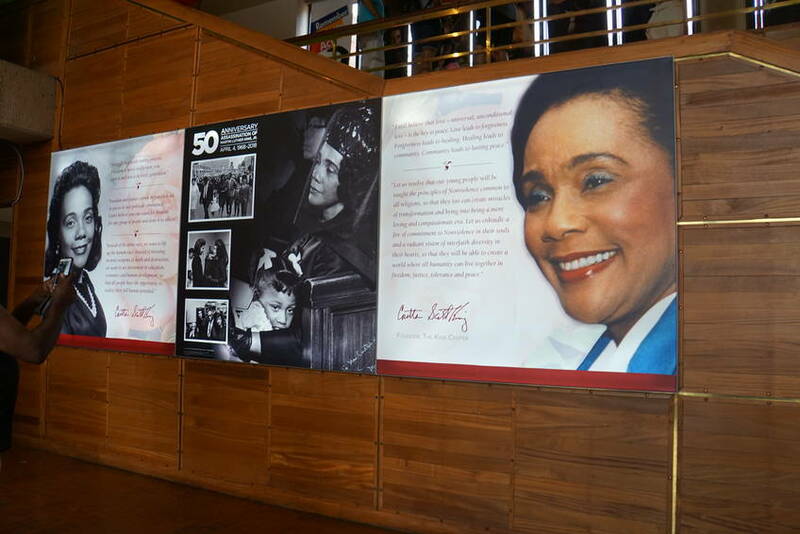 Ø 1958 there was an attempt on his life by Izola Ware Curry while at a Harlem book signing. 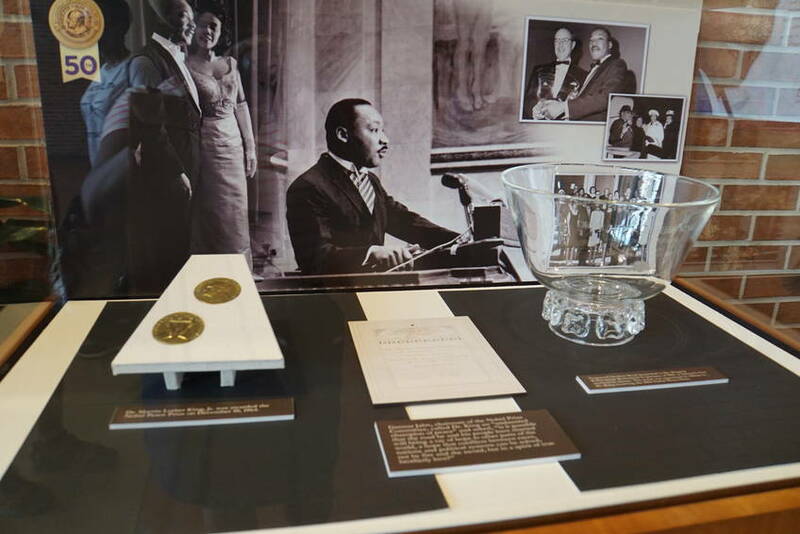 Ø MLK is awarded the Nobel Peace Prize in 1964. 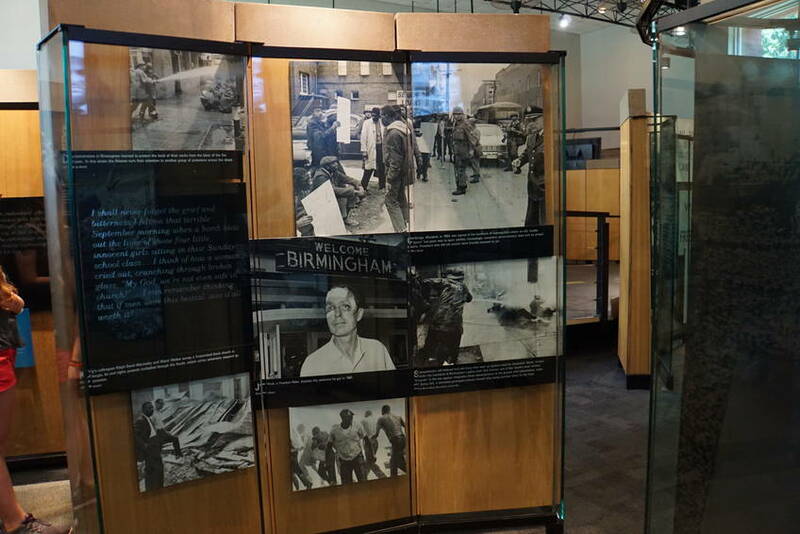 Ø MLK is assassinated April 4, 1968 in Memphis, TN. 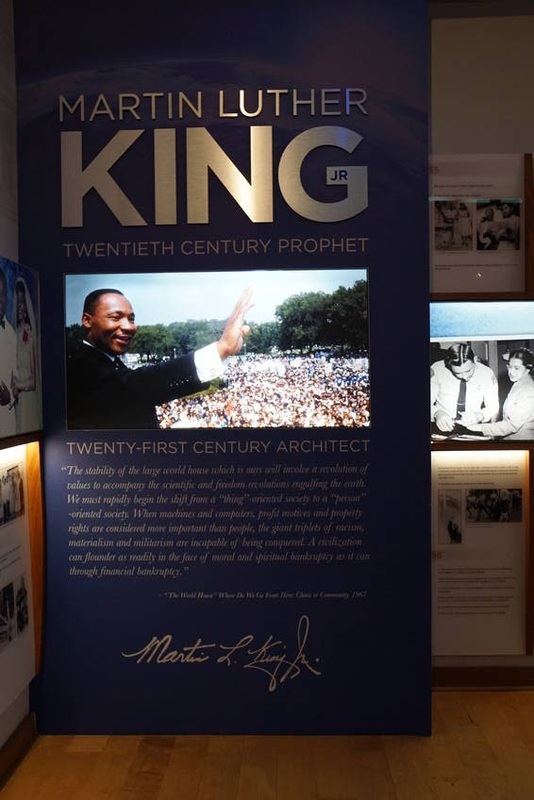 Ø 1974 MLK mother, Albert Williams King was killed by a deranged gunman while she played the organ in church. 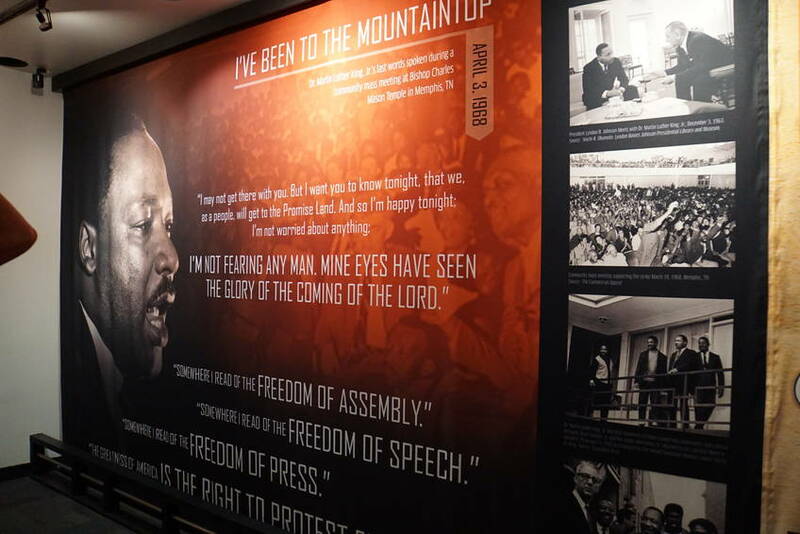 Ø Jan 20, 1986 was the first observance of the King Holiday. George Washington is the only other American to have had his birthday observed as a national (federal) holiday. OK ya’ll. When I read this I thought it was wrong. However, it is true. Lincoln’s birthday was considered a state holiday not federal. We started our MLK toured at the old Ebenezer Church where Martin and his father, who was affectingly called Daddy King, co-pastored. This is a beautiful old church with stained windows. Much has happened there. 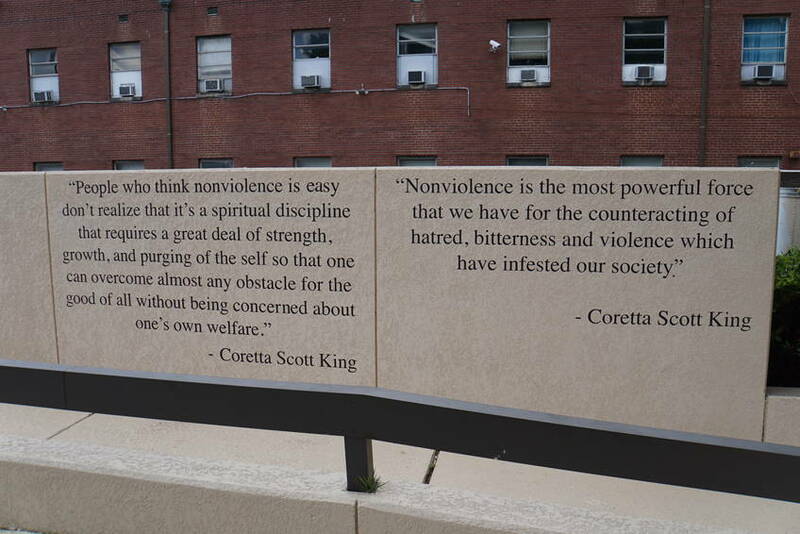 powerful words as to why it was necessary to build. 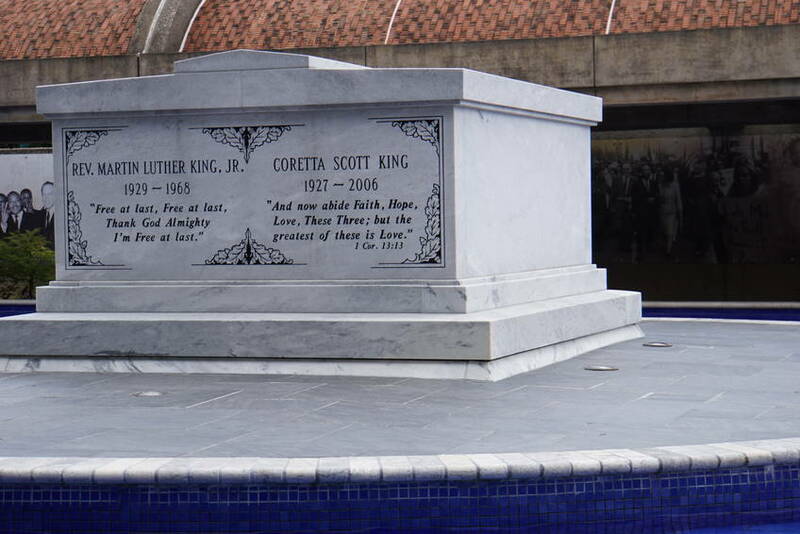 In the center of the pavilion is the mausoleum of MLK & Coretta. 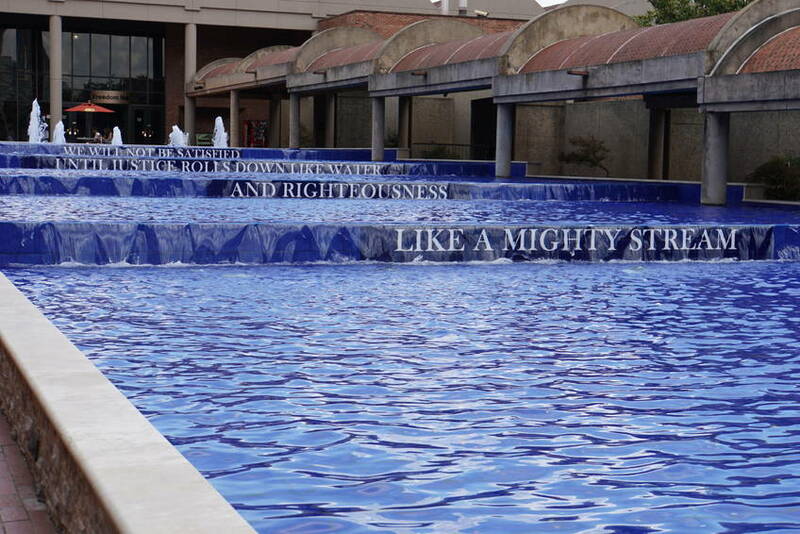 The words that flow over the steps are also powerful as it means never stop fighting for justice. 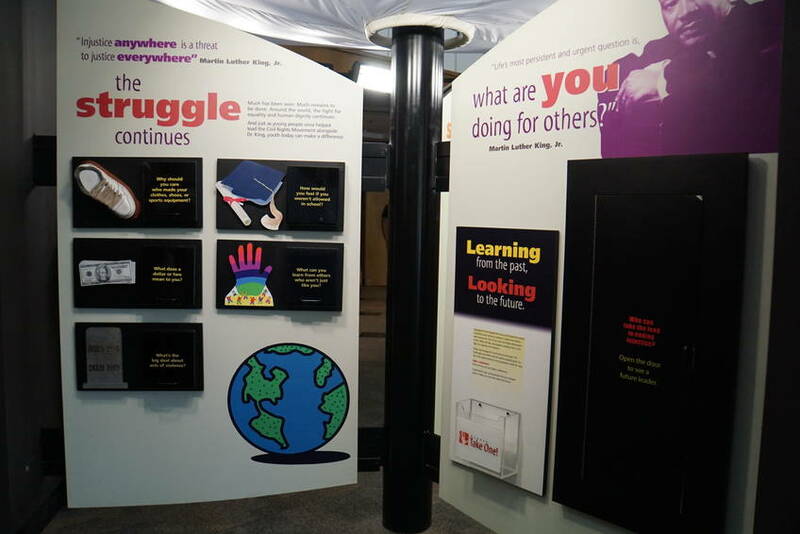 Inside the center is memorabilia from MLK life and how and why non-violence is important. 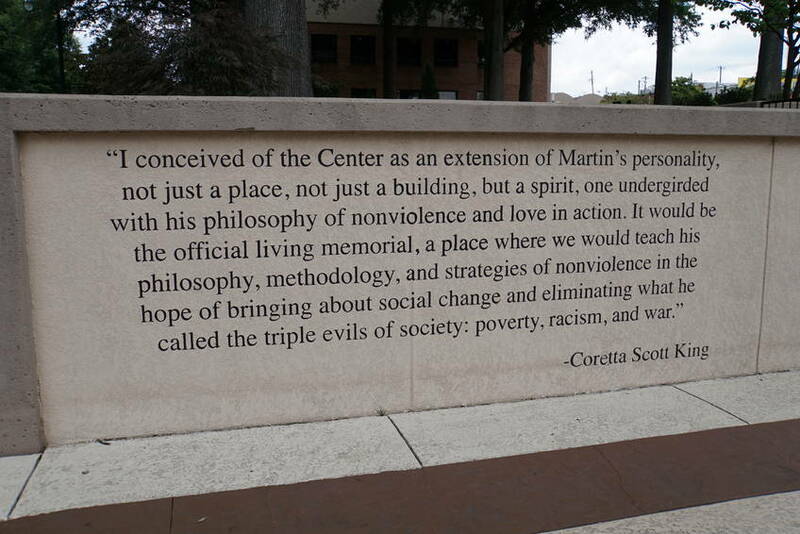 We left the center and headed to the MLK, Jr. Visitors Center. 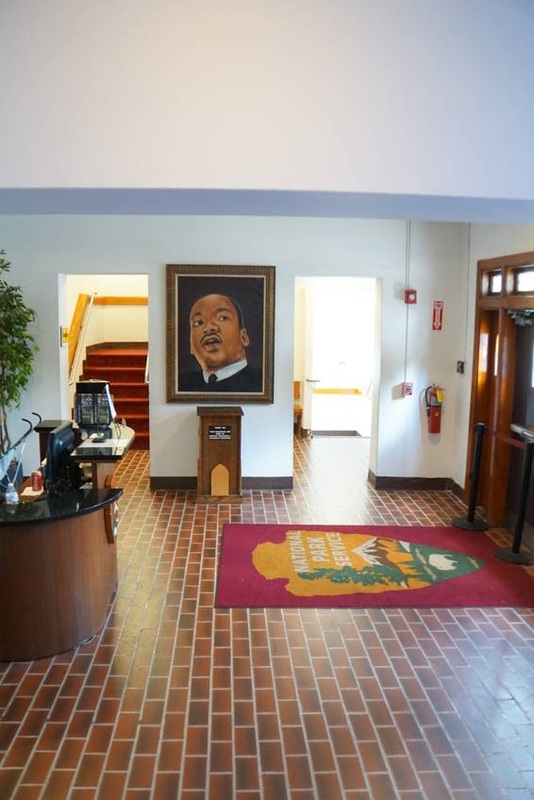 If you only have time to visit one area of the MLK facility, this is where you want to go. 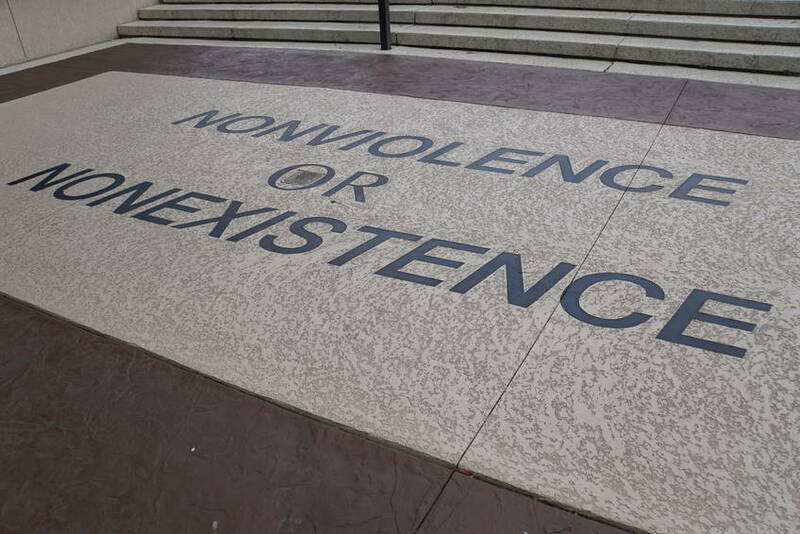 It will take you from his birth, life death and what has happen with non-violence. It is most impressive. There is also a statue out front that reminds one of the movie Roots. We ended our tour of this area with a view of the new Ebenezer Church. It seats 2,000 people. We jump on the train and head back downtown. Why is there always got to be a crazy person on the train. The guy sits across from us banging on a key board that is not connected to anything and starts to talk crazy politics. 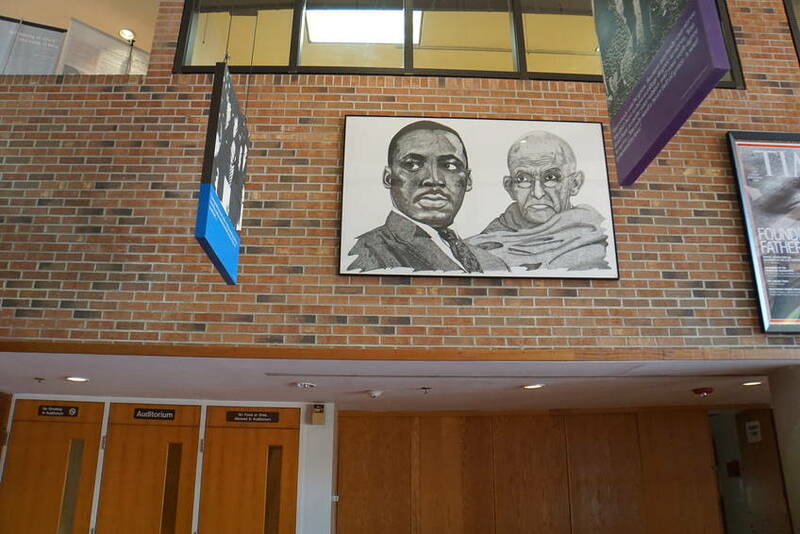 We make sure that we make no eye contact with him and keep looking at our MLK brochure. The train conductor must have a camera in every car so he must had notified the train police because we had only gone 2 stops and the police gets on. Wow. Talk about handling the issue. The guy starts talking to the police and gets off the train at the next stop. Tourism is their business and they are going to make sure tourist keep coming back. We walk back through Centennial Park to our car. 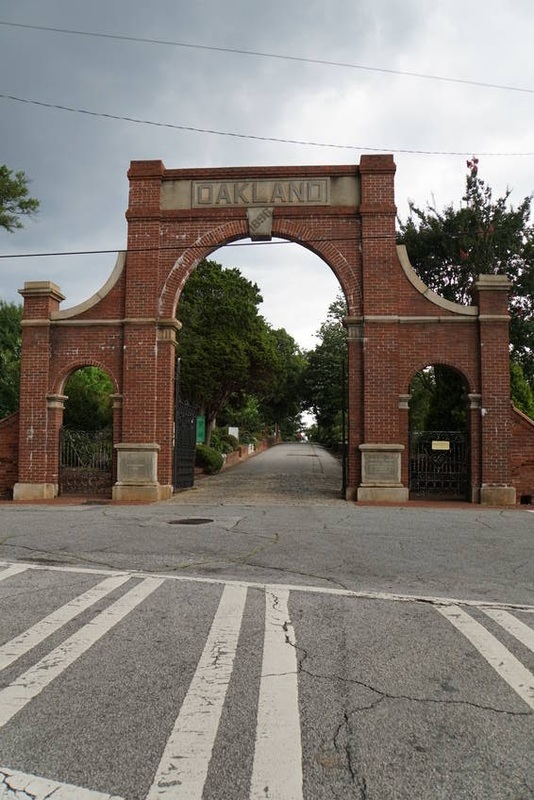 We decided to go to the Oakland Cemetery. It was one of our stops on our trolley tour. It is a very popular place to go. It would be like the Forest Lawn of Hollywood. 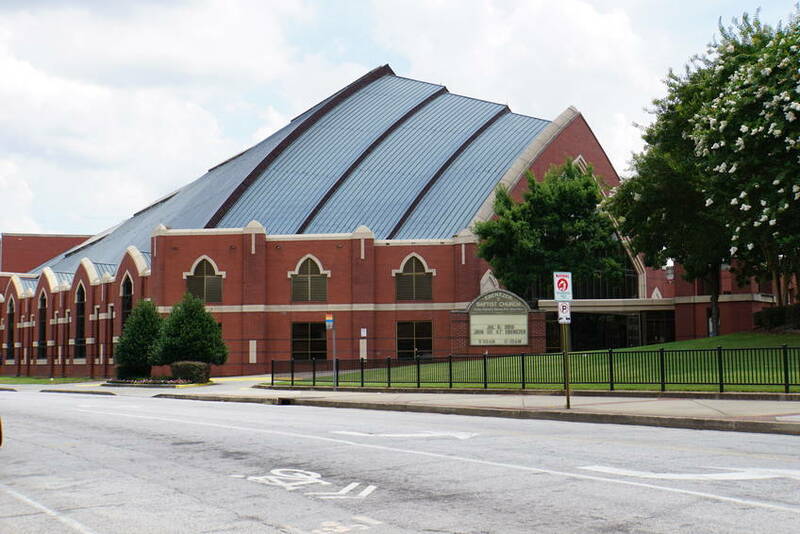 Many famous people of Atlanta are buried there. 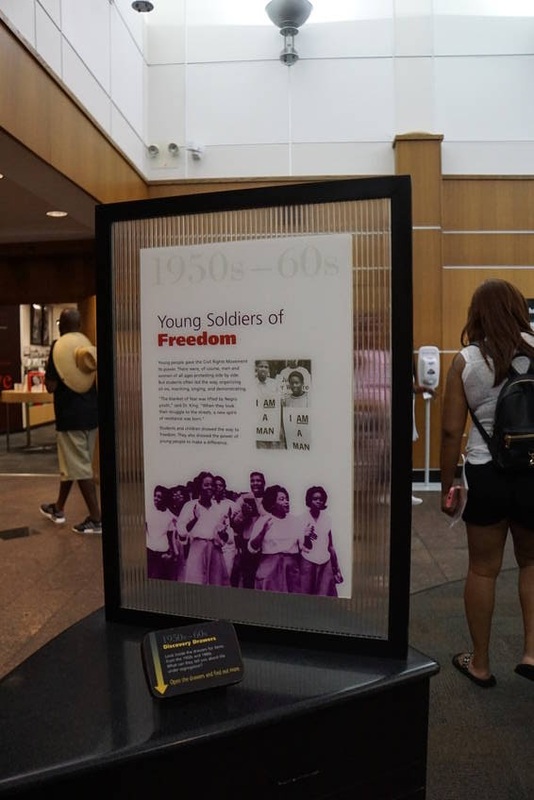 Margaret Mitchell, Mayor Maynard Jackson, etc.. Of course they had the section that was dedicated to the confederate soldiers. It was interesting that what was designated as the slave burial area got moved. 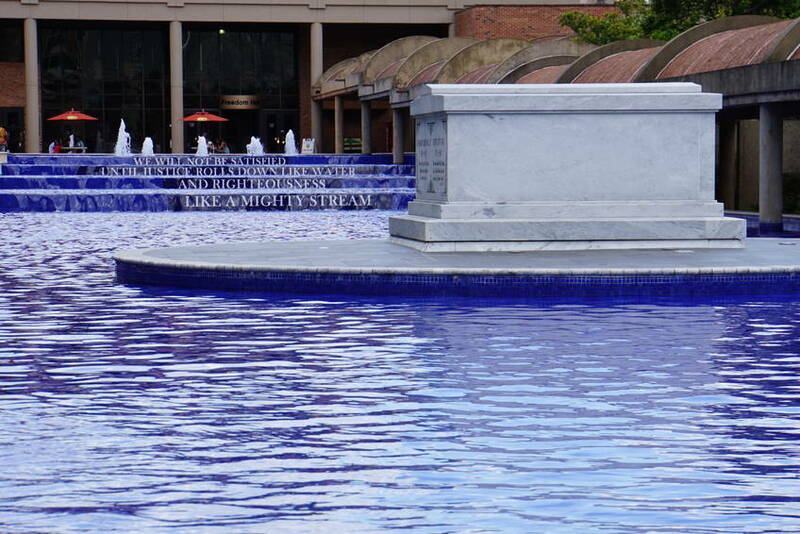 In 1852 the Atlanta City Council ruled that people of color were to be buried separately from whites, in public grounds. 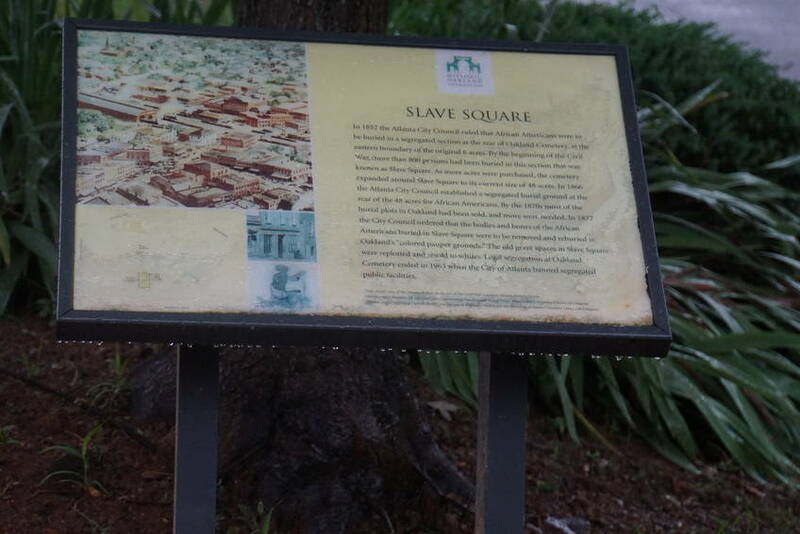 This section was known as “Slave Square.” At the beginning of the Civil War it held the remains of more than 800 people. 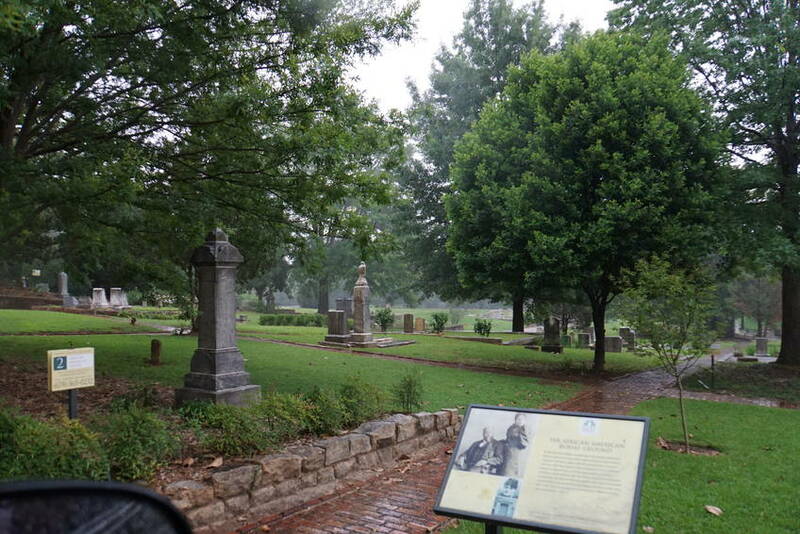 In 1866 the city designated three acres of another section in the cemetery for African Americans burials only. In 1877 those remains of those buried in Slave Square were exhumed and reburied in another section of the cemetery. It was the colored pauper grounds. (Info from Oakland Cemetery Fdn). So what they really should say is they dug up the graves and dumped the remains in a field. Since there were “no names” on the graves they did not have a way to contact the families to see what they wanted to do with the remains. Wow. When the cemetery Caretaker was telling me this I just kind of looked and him and realized I was truly in the South. 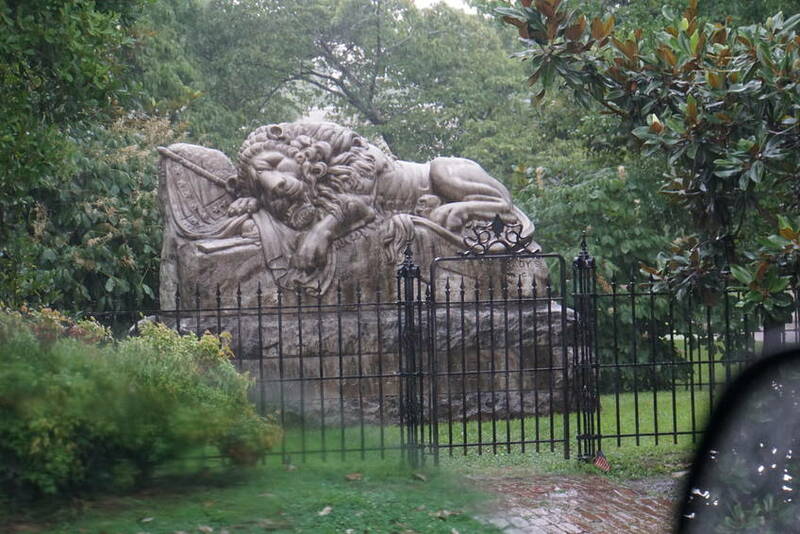 I had to search for this area twice before realizing it was behind the confederate lion statue. Could they slap us any further?? The city finally banned the segregated burial sites in the early 1960’s. 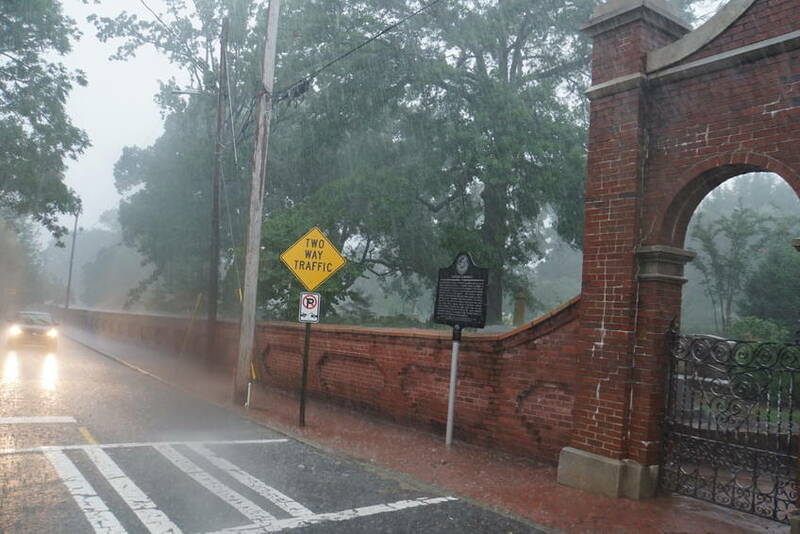 Can you believe that it started to rain like a big dog while we were looking for Maynard Jackson grave? 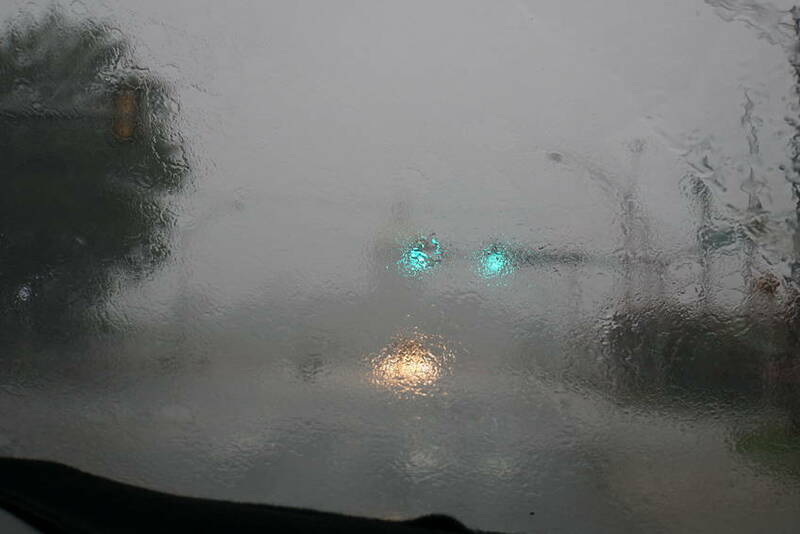 We got to it but it was raining so hard we could not even roll the window down to take a picture. The rows were very narrow. We decided we needed to leave the cemetery while we still could get out. How can the day be sunny when we came to the cemetery and 30 minutes later have a horrific down pour? It was raining so hard the streets literally started to flood. We thought about getting on the freeway to go back to the Hilton 4. That option was out because the freeway had come to a standstill. 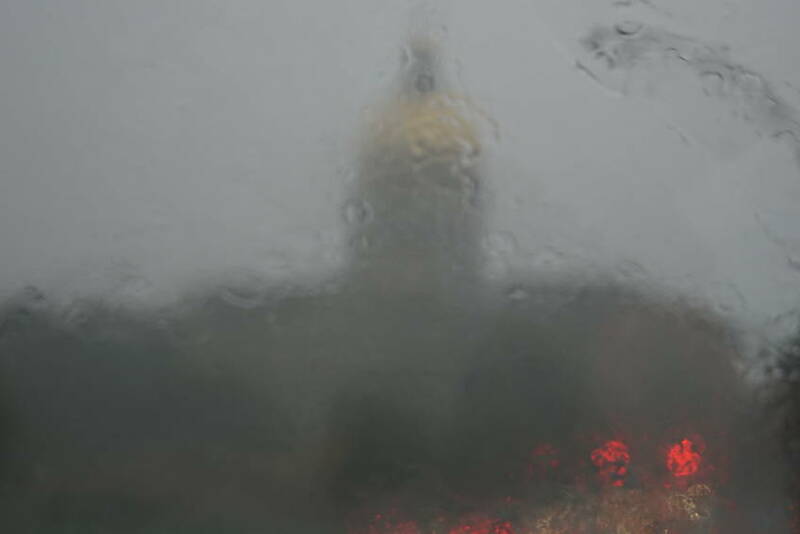 We past the capital and could barely see it. So we decided to head back to the area where we had originally parked the car since it was higher ground. 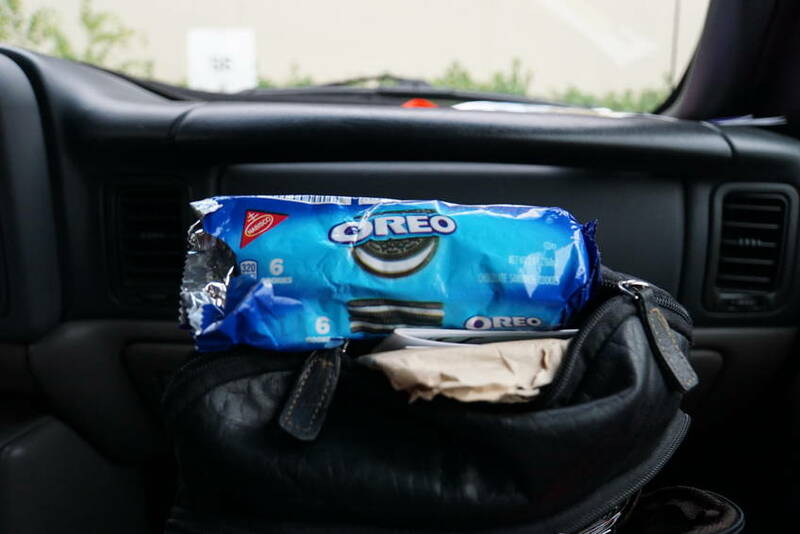 We pulled out a pack of Oreos and waited the rain out. I know you are asking why didn’t we just stop. Well like all cities at commute time there is no stopping or parking on the streets. When it finally let up I found the Hard Rock to get my special pin. It’s called the 3D Turntable pin. Got #3. We finally get out of the city. Go have dinner and call it a night. What a day. Well Campers, until next time. Yeahhhhh, that rain in the South is something else; one minute, it's fine, the next it's Biblical and animals are pairing off. I'll never forget we were all caravaning from New Orleans and had to pull off the freeway, it was coming down so hard. And, of course, we managed to lose my sister, who, instead of pulling over under the overpass like we'd planned, took some weird off-ramp and then didn't know where she was or how to get back on the freeway. At least you were by yourselves! All content copyright © Mrs. Brenda Parker Brandy unless otherwise attributed. Picture Window theme. Powered by Blogger.